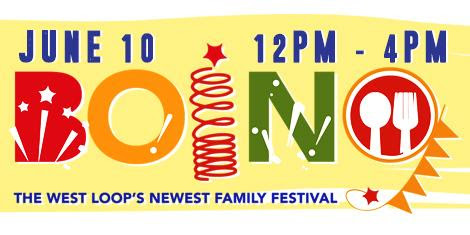 Chicago has a new, family-friendly summer festival to look forward to: the BOING! Festival (Big Outdoor Indoor Neighborhood Gathering), Saturday, June 10, at Chicago Children’s Theatre, The Station, 100 S. Racine Avenue in Chicago’s West Loop neighborhood. Spring into summer with more than 500 of Chicago Children’s Theatre’s closest friends. BOING! starts at noon and runs until 4 p.m., with a full day of fun and wildly unique experiences on tap both outside in CCT’s spacious on-site parking lot, and inside on both floors of the former Chicago police station, now a beautiful, mixed-use performing arts, education and community engagement facility that welcomes all Chicago families. Kids will have a blast at BOING! morphing into heroes by creating adventure costumes, rolling oversized dice, and setting out on an epic quest inside and outside The Station complete with mysterious clues, delightful discoveries, and a surprise finale. Aerial circus arts, a black light dance party, airbrush tattoos and more all promise to add bounce to BOING! Plus, enjoy live performances throughout today by Yuri “The Human Beatbox” Lane, The Happiness Club, Old Town School of Folk Music and more. Finally, what would a summer festival be without tasty summertime food and refreshments? BOING! will have plenty of offerings include cool beverages for children – and adults (21 and over). Tickets to BOING! are $10 and can be purchased in advance at chicagochildrenstheatre.org or by calling (312) 374-8835.